Want to help improve literacy in Broward County? 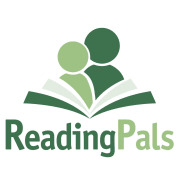 Become a ReadingPals mentor and work with a student in Pre-K, K, 1st, and 2nd grade to improve their literacy skills. FACT: Nearly one third of Florida's third graders attending public school cannot read at minimally proficient levels. And, sadly, those children are four times more likely to drop out of high school. The ReadingPals program focuses on ensuring children have been exposed to the wonders of literature and are reading at grade level at the end of third grade. United Way engages, trains and deploys volunteer "reading pals" who dedicate one hour a week for 25 weeks to read to a child. ReadingPals also provides approximately 17 books for each child to take for a home library.